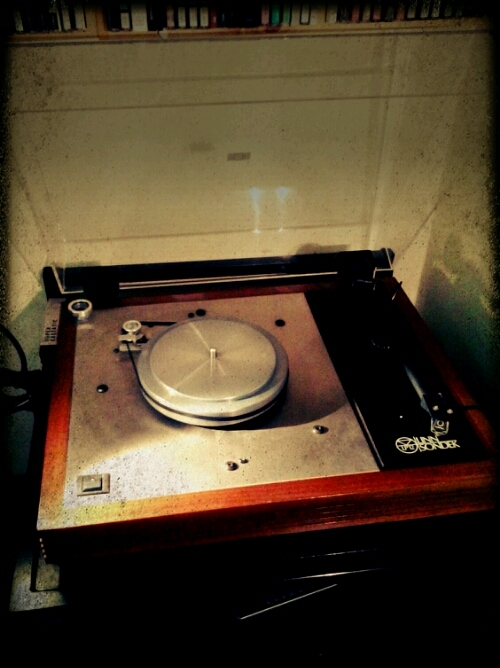 My Linn Sondek can barely turn the platter. The motor has very little torque. They are two phase 12v as far as I know. My guess is that one channel has failed on the Valhalla board or the motor itself. The former is quite an expensive repair. It is one that failed once before, not long after I bought it in 1986. Back then, it was covered by the guarantee. Here it is with the platter removed while I check the belt. This entry was posted in No category and tagged LP12, repair, valhalla board. Bookmark the permalink.